Lou Katz was featured in the June 27, 2014 Outside the Box section of the Boston Business Journal click here to read full article. RIW’s Barry Weiner speaks on mediation on Radio Entrepreneurs. 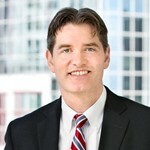 Click here to read Mike Duffy’s article in the New England Real Estate Journal re: Intra-Company Disputes.